Junior Sadie Spivey (BM voice; BFA acting) will be appearing as a young artist during the 2018 season of Ohio Light Opera in Wooster, OH. Known as ‘America’s premier lyric theatre festival,’ the resident professional company of the College of Wooster plays in repertory this season from June 16 - August 11. Sadie will perform in the ensemble and featured roles in Candide by Leonard Bernstein, Gilbert & Sullivan’s Iolanthe, Babes in Arms by Rodgers and Hart, The Pajama Game by Adler and Ross, Jacques Offenbach’s La Périchole, and Cloclo by Franz Lehár. Sadie is currently completing a semester abroad, studying in London, UK. 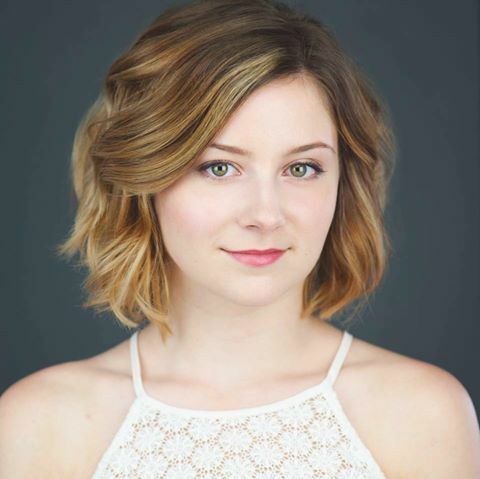 At Penn State, she was a member of the Concert Choir and was seen in the School of Theatre's productions of “Twelfth Night” and “110 in the Shade.” She received Voice Jury Honors in spring and fall 2016, Jury Recognition in fall 2017, and was named the 2017 winner of the Margot Bos Vocal Award which supports excellence in vocal performance. From State College, PA, she is the daughter of Norman Spivey and Joyce Robinson.